OMG Posters! 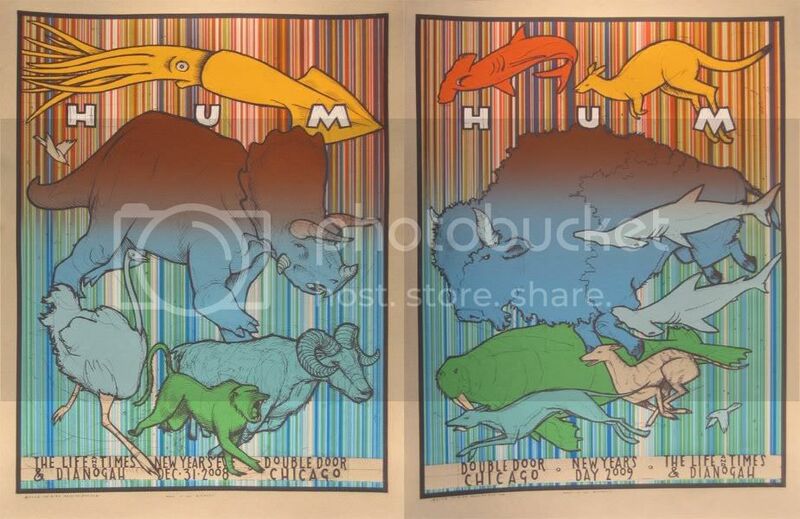 » Archive Hum New Year's Posters by Jay Ryan (Onsale Info) - OMG Posters! 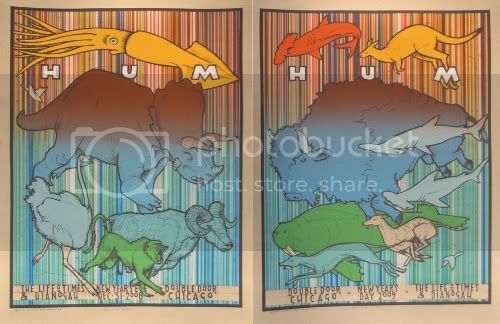 Definitely his most exciting release in recent memory, Jay Ryan will unleash his pair of posters for Hum’s New Year’s shows tomorrow, and they WILL go fast. Along with those, Jay will also have a new The Sea and Cake poster available. This all goes down tomorrow (Friday, January 2nd) *around* 10am CST. Keep your eyes on TheBirdMachine.com. I gotta say I found Ryan’s MMJ print way more exciting than these. I’d like these much more as an art print. That’s just me. I’ve been digging these since they first appeared. Intrigued to see what the Sea and Cake prints look like. 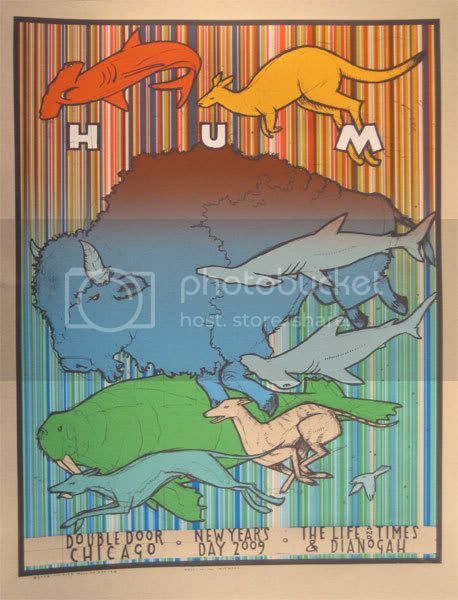 HUM reunited for this show…There is a god. Hope they tour more than just these 2 shows. This print is a must have for me. 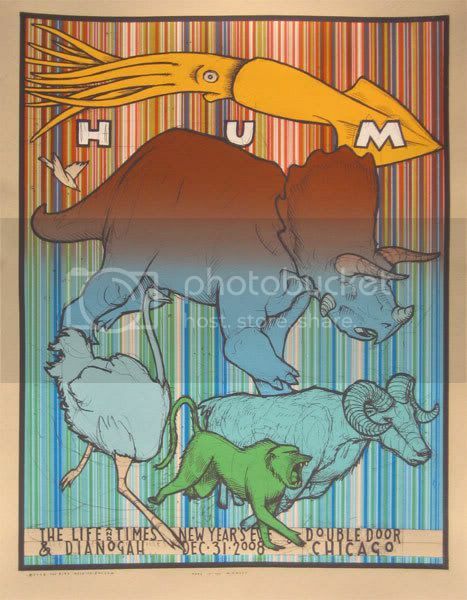 I have a HUM framed concert poster from 98 I believe. Its a silkscreen signed by the artist. Its a show they played with Swerve Driver. The print is of Mao Zedong. I might need to sell it to make some money if anyone is interested its in great quality. Will send pics.